Saturday, 2:30, Main Library, Camarillo. I’ll be moderating (and chiming in) a panel discussion: “In Search of Good Food” with local food folks and urban farmers. Sunday, 2:00, Main Library, Camarillo. I’ll be reading from Farm City and doing a slideshow! Here’s the address for the main library. The library is located at 4101 Las Posas Road, Camarillo. If you are coming from the 101, take the Lewis exit and continue north until you reach Las Posas. Right on Las Posas. Library is about one block on right. I’m newly discovering boundaries. In the garden. 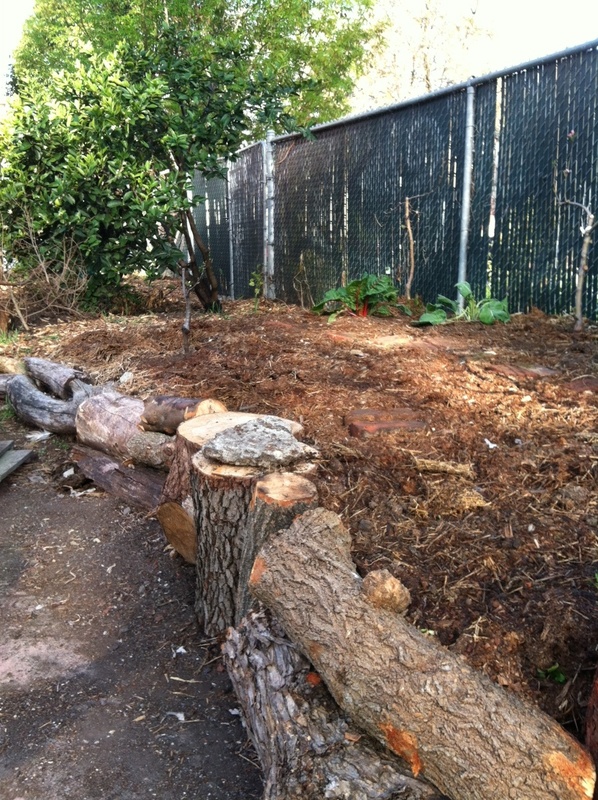 Before I liked to just make big berms, toss some seeds in, and call it a garden bed. 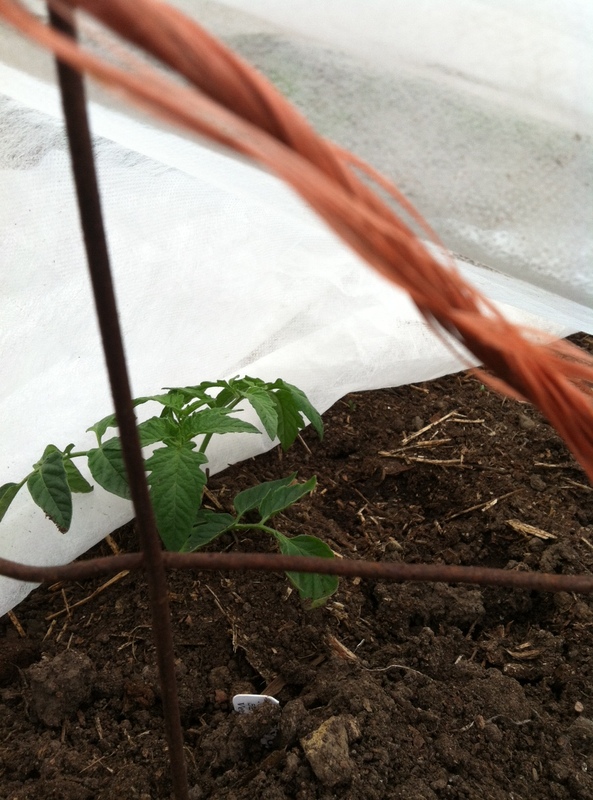 But then I noticed people seemed to not know it was a garden bed and would stand there, on top of the lettuce. Of course you can’t blame anyone–how would they know? So, I’ve been dabbling with different border materials. One rule: they must be free. The first came about because I had a bunch of these cinder blocks around. I think I found them on a corner a few years back. So far they are making a good border. Obviously they are sturdy. 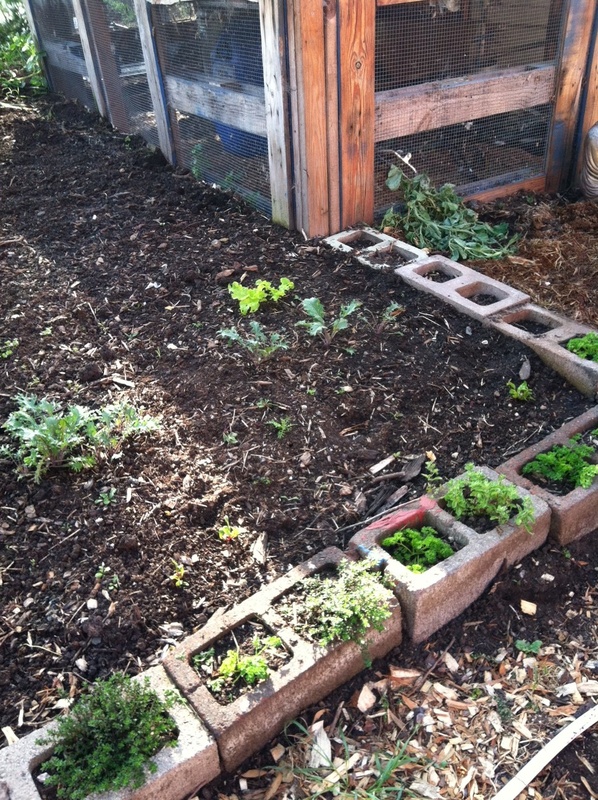 I like that I can plant into the little holes–herbs only, though, because I think once summer hits these blocks will get hella hot and dry. There’s something very Soviet era about this garden bed. Not sure I love it. Then there’s this totally jankity bed. 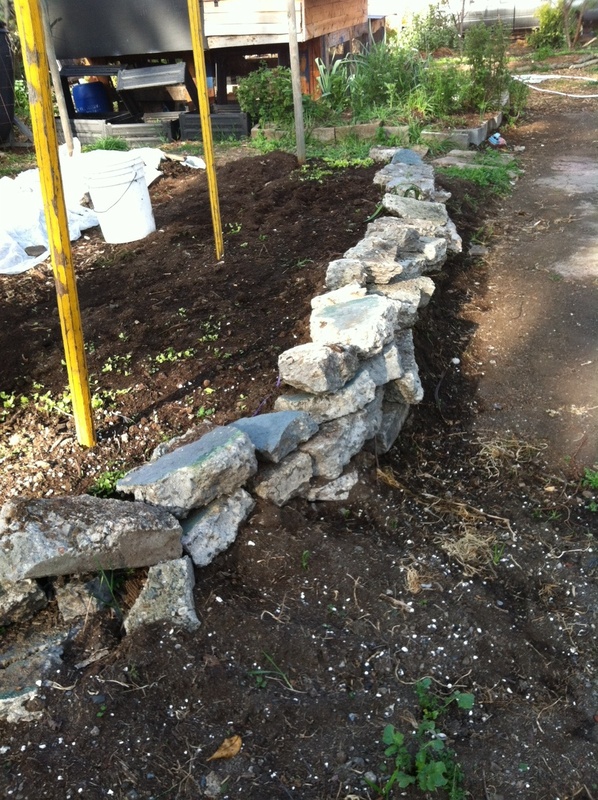 One of my volunteers delicately mentioned that she wouldn’t want to use these slabs of concrete as edging. “Why not?” I asked, so proud of my stacking abilities. “It looks a little…messy.” Now that I look at the photos, she is absolutely right. I am not smitten with this material. But, have I mentioned that it is free? Finally, my fav: stumps. This too is pretty messy looking. But a woodsy mess as opposed to a rubble mess. Here’s the car that loaded all the stumps. I nearly destroyed the leaf springs or something like that. 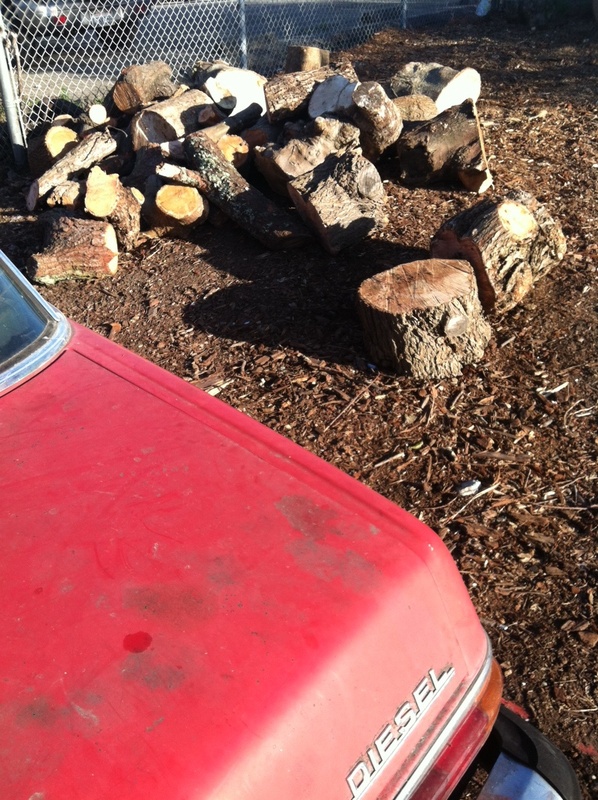 You can find more stumps and logs at Hearst and 4th in Berkeley, near Import Tile, where the day laborers wait. And maybe you’ll see me too. I don’t think I’m done yet. Remember: Farm Work Day Tomorrow, March 14, 3-6pm. At 2727 Martin Luther King. Bring a friend, and get ready to work it baby.